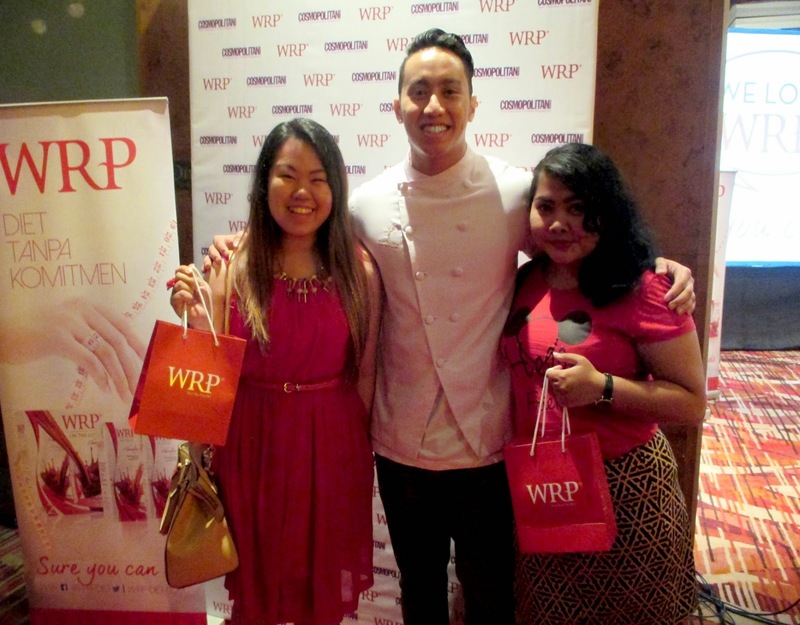 WRP with Cosmopolitan Magazine held an inspirational event. "Start Your Healthy Life and Career with Commitment"
This event is held in 3 towns, Surabaya, Medan, and Jakarta. You could say I'm an event hunter, because I really can't help to join this kinda fancy event. I went there with Indah and Evi. All participants have to wear the red dress code. I love it when the ballroom seems hot and energetic with a touch of red/white glamorous ladies! After the dinner, we had sharing about the products. Sharing about how to start everything in life, without any commitment. Sounds impossible, but surely doable. Had an inspirational cooking demo, with a young, gorgeous, and talented celebrity chef in town @yudabustara! How to make an healthy and delicious food & beverage in simply way, specially for urban ladies nowadays. Honestly, I don't really know about cooking. But when I saw he cooked the salmon with style, I was very interested! He know how to improved. We also had an inspiring motivation session with expert psychologist, Mr. Alexander Sriewijono. He try to touch our sensitiveness to be a better person, sharing about his problems, his experience, and well it works. 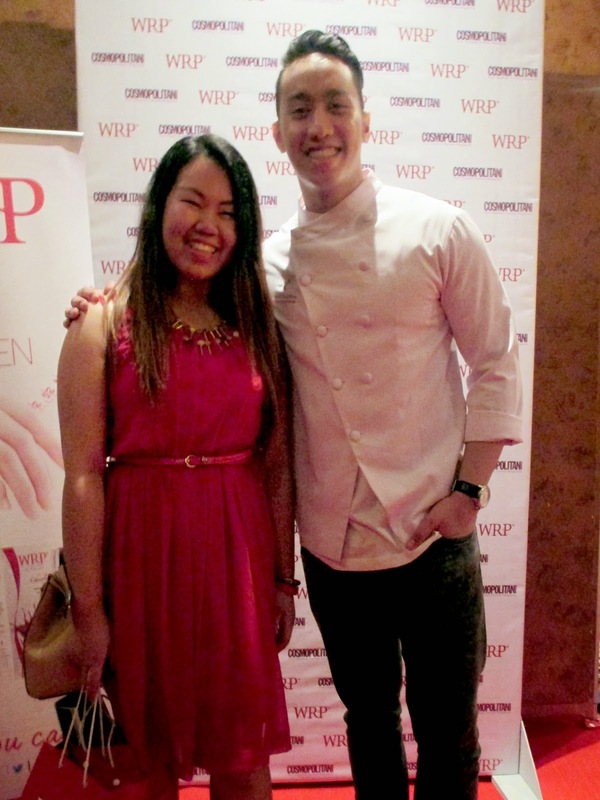 At the end of event, we took photo together at the booth with this charming Chef Yuda! Believe it or not, fortunately we get the same lift too with the chef and MC! Although we don't know each others in that lift, but we had the simple chat. 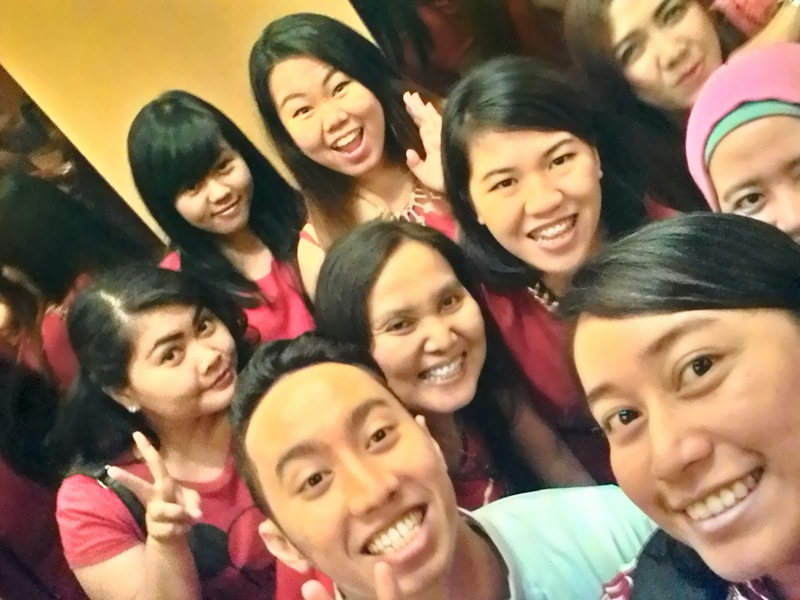 They are so friendly, and...it's selfie reminder! :p Hitsss maximum.